@trolleydriver wrote: "Why don't we schedule an "event" for May 1 and everyone update their "showcase" photos? All of our gardens should be at their best around then." Hmmm, then how about Memorial Day? We could make it a Memorial Day Before & After Photo Shoot." Okay, who will take the lead and start back up this thread on Memorial weekend? @sanderson wrote: Okay, who will take the lead and start back up this thread on Memorial weekend? After careful consideration of volunteers, I choose CN. Many hands makes for lighter work. I humbly accept. Now who's in charge of making sure I don't forget? Let's see ... Memorial Day USA ... that's May 27 this year. The weekend before is Victoria Day in Canada and that is when most of us up here feel it's safe to put in our transplants. Won't be a lot to see in my photo op. @trolleydriver wrote: Let's see ... Memorial Day USA ... that's May 27 this year. The weekend before is Victoria Day in Canada and that is when most of us up here feel it's safe to put in our transplants. Won't be a lot to see in my photo op. Would you rather we wait until the middle of June? We could even wait until 4th of July, but my stuff starts dying off or going dormant by then, in our scorching heat. That wouldn't be a problem, however, cuz I could take my pics a couple of weeks earlier, and just wait to post them. Let's do this when all of our gardens are in their prime or just past, but not before. Stay with June 1 and make it a month long post? @sanderson wrote: Stay with June 1 and make it a month long post? PERFECT! We could make a dateline chart of when each of our gardens peak. Sort of like that thread we did about the birdseye view of our spreads, but this one would focus on our growing seasons. It would help us appreciate each others' gardening challenges. Speaking of Bird's Eye View, anyone, like CN, want to bump it? CN, your property has expanded! @sanderson wrote: Speaking of Bird's Eye View, anyone, like CN, want to bump it? CN, your property has expanded! This is a reminder to be getting some good "before" shots of the areas you want to show off. We will make this a month-long event for June, but let it leak over to the 4th of July. Post as many before/after shots as you like and the dates don't matter. If you have something hitting its prime before June 1, shoot it up on its best day. We only have 2 goals here. Show off and have fun. In fact, some of our efforts may go backwards, and that's okay, too. I know I've had some projects that looked worse after I finished with them than they did before I started. 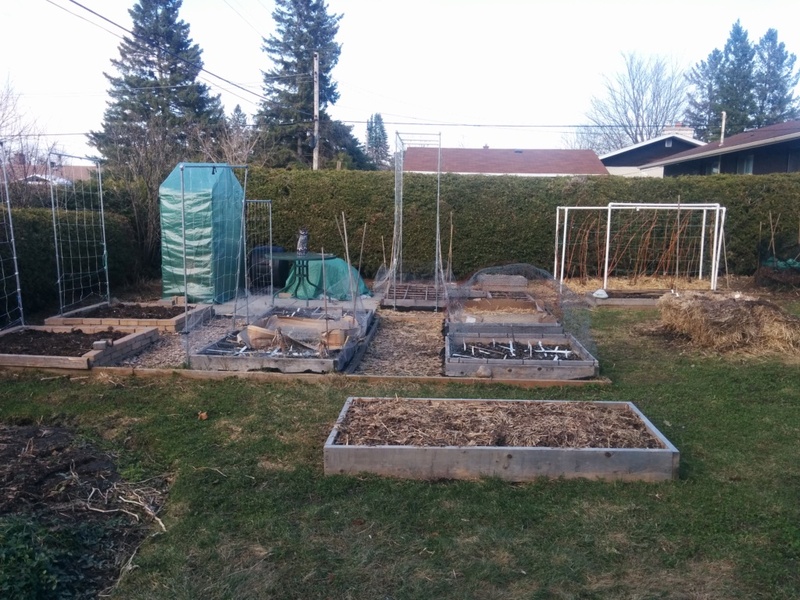 For example, the "before" shot on this one would have shown a nice healthy container of seedlings, ready to transplant. 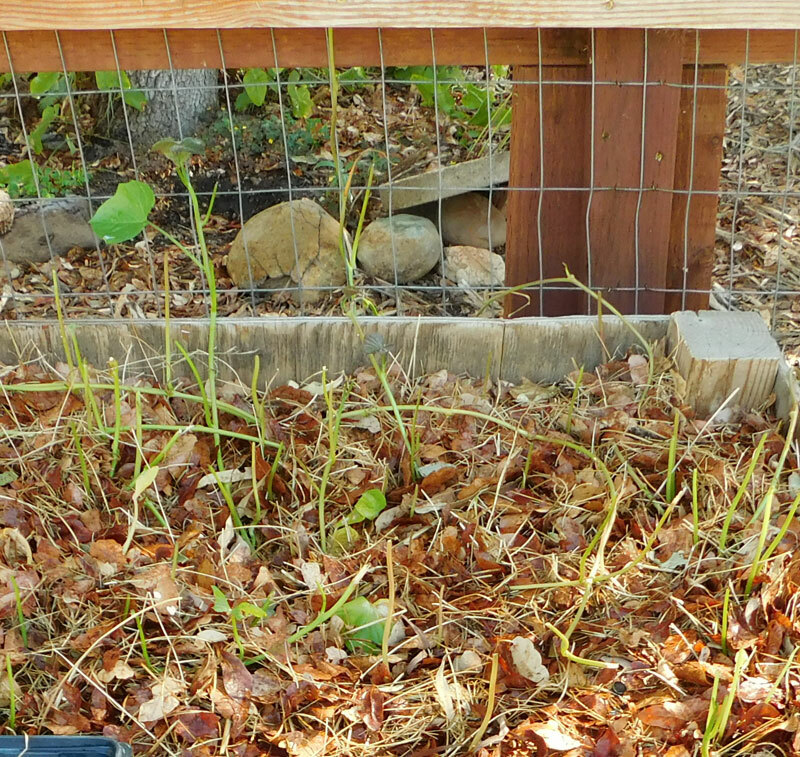 Here's my sweetpotato patch -- before the deer came . . .
CN...those pics are 100% heartbreaking!!! Lesson learned. 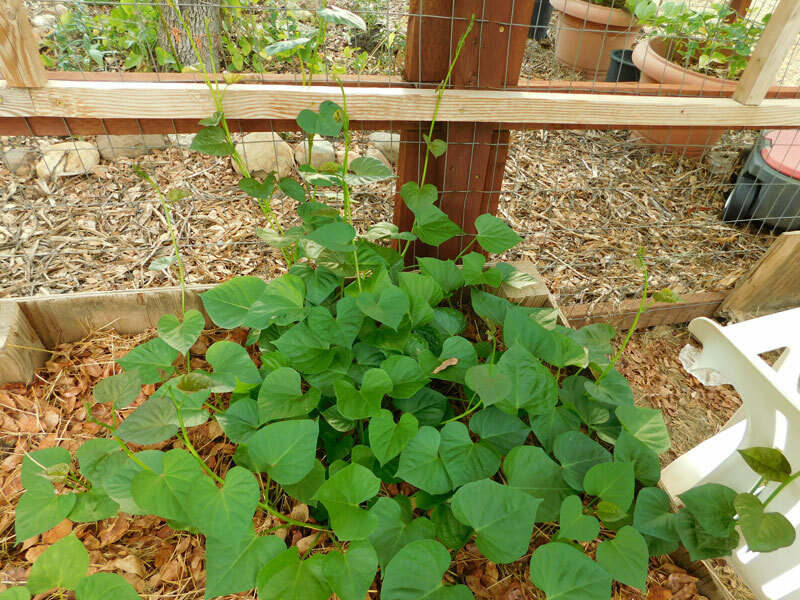 The sweetpotatoes will go inside the Salad Bar this year. 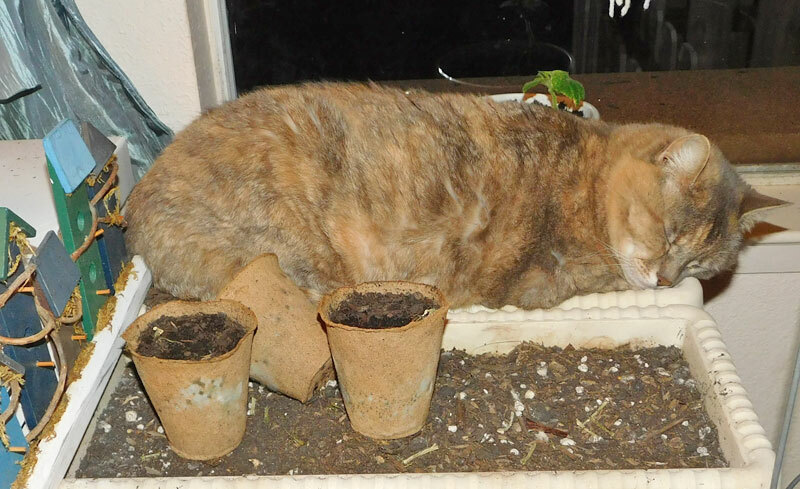 The outside beds will be for compst, mulch, rabbit poo, and other ammendments. There's just no point in planting anything there. Oh, my....... SO sorry, CN! Oooo, TD -- can't wait for the "after."